Cassie grew up in Northern England but escaped to our sunnier and warmer climates in 2011. Cassie has worked within dentistry since 2009, originally as a Dental Assistant before joining us as Office Manager in 2012. 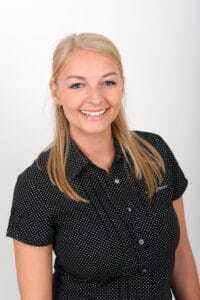 She ensures our practice always runs smoothly which makes Cassie invaluable to Apple Dental. One of the things Cassie loves about dentistry is that every day is different and she always enjoys chatting to our patients, many of whom are originally from Britain and who appreciate hearing a familiar accent. Away from Apple Dental, Cassie loves to go to the movies with her husband or taking her French Bulldog, Pepper to the beach. Cassie has been lucky to travel to many different countries including; The Maldives where she got married, America, Greece and loves to explore new places closer to home in Australia. Janelle grew up in Sydney and is one of our friendly receptionists here at Apple Dental and she loves greeting patients with a smile. Janelle has worked at Apple Dental since 2002, originally as a Dental Assistant before joining our reception team in 2004. While she enjoys working as part of such a friendly and supportive team, she always says it is her patients that make this a dream job and Janelle loves chatting with them throughout the year. As a mum of a little girl, she really likes talking to patients about their children and families and having that close rapport that has developed over the years. When not on our reception desk, Janelle loves nothing more than spending time with her family and friends and she likes to listen to music and travels whenever she can. Aleica grew up on the Central Coast but has lived locally since 2002. 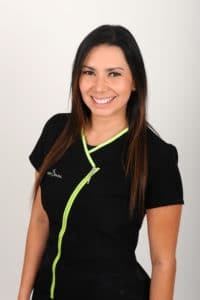 Aleica began her journey in the dental industry working as a dental assistant for 13 years before joining our reception team in 2014 and has been an integral part of the team ever since. As one of our receptionists, Aleica is the person who makes our patients feel welcome and over the years she has loved getting to know them. As for many of us here, fitness is important to Aleica and she is registered to play Touch AFL locally and always takes part in any sporting event that we sponsor. An avid traveller, Aleica has explored many different countries, but thankfully she always loves coming back to us here at Lane Cove. Originally from Ukraine, Julie graduated from the Dental Hospital in New South Wales in 2012 and she has lived locally since graduating. 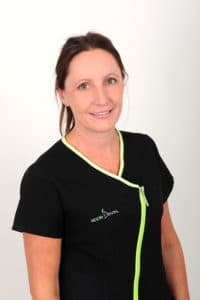 Julie is particularly interested in surgical procedures, tooth removals and in IV sedation, and understands that people often feel a little anxious when visiting the dentist. She is especially good at helping to reassure people, so they can relax more easily knowing they are in good hands. Away from dentistry, Julie loves spending time with her little girl and she is an active member of our community here in Lane Cove. Julie can speak 4 languages fluently; English, Romanian, Russian and Spanish. Mhairi grew up in Scotland but has been enjoying our beautiful weather and beaches since 2009. She has been a valued member of our team since 2015. 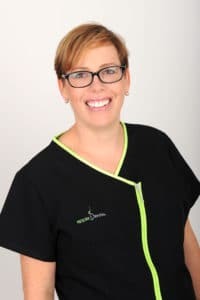 As a member of the Dental Assistants Professional Association, Mhairi is very experienced at helping people feel comfortable in the dental chair and ensuring every visit is as pleasant as possible. 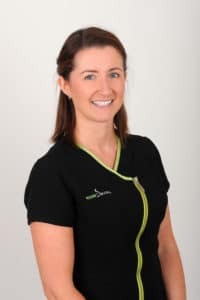 Like everyone here at Apple Dental, Mhairi is passionate about great dental health and keeping fit is very important to her. Her other hobbies include sports, entertaining and taking part in local and national fun runs. Katrina grew up in Sydney and has been with Apple Dental since 2007. As one of our Senior Dental Assistants, Kat is an essential member of our team and her experience and skills are invaluable for ensuring patients always feel comfortable and cared for during treatment, especially during any surgical procedures. When not assisting with Dr Casiglia, Kat likes to stay fit playing sports, especially tennis and she loves to relax watching sports and spending time with her two children. Kat also makes the most of any opportunity to travel and explore new places. Susan grew up in Harare, Zimbabwe and in 2003, she qualified as a Dental Nurse in the UK. 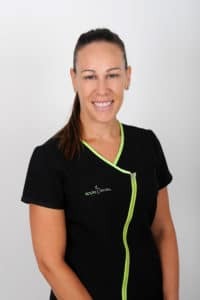 She has been part of the Lane Cove community since 2009 joining Apple Dental in 2015. 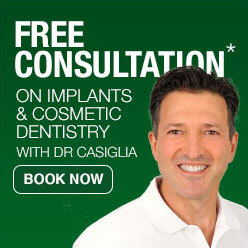 Susan is especially interested in preventative and restorative dentistry. She loves serving the local community, working with our dentists to help improve people’s dental health and their overall dental experience and is very good at helping even the most nervous patients feel calm and comfortable. As a busy mum of 3, Susan is actively involved in the school community and she loves to chat about children and is passionate about the need for good nutrition and good health. Susan’s other interests include travelling or catching a quiet moment with a good book. Lina grew up in Colombia then moved to Australia in 2008 after qualifying as a Dental Technician at the Universidad Santo Tomas de Aquino. 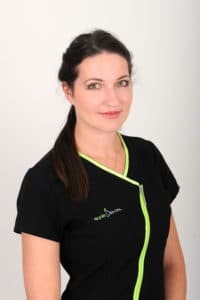 Lina has been with Apple Dental since 2015 and has been an invaluable member of the team from the start. She always goes that extra mile to ensure people have a positive experience and loves nothing more than seeing patients leave with a healthy smile. Lina is very passionate about fitness and always participates in any fun runs organised by our practice. Lina’s other hobbies include going to the beach and dancing. Lina is fluent in English and Spanish. 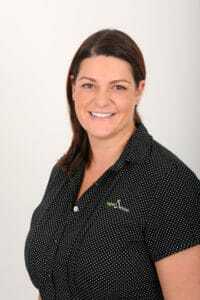 Kelly grew up on the Central Coast but moved to down to Sydney in 2001 when she joined Apple Dental. 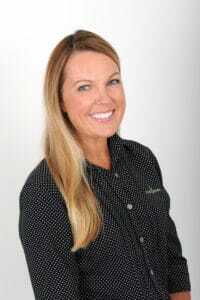 As a dedicated and experienced Senior Dental Assistant, Kelly loves the fact that every day brings something different and is especially interested in surgical procedures. Kelly is great at helping people feel comfortable and she particularly enjoys working as part of a team. Since starting with Apple Dental, Kelly has loved being able to see so many younger patients grow up. When not at Apple Dental, Kelly likes to get out into the sunshine with her family, especially when exercising. She also enjoys relaxing with a great TV show and always welcomes patient recommendations.